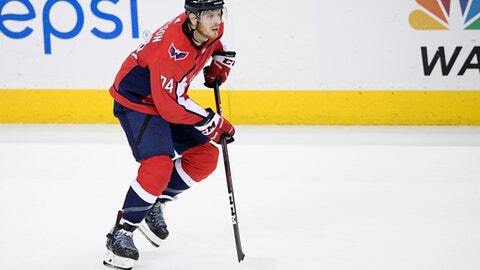 Defenseman John Carlson signed a $64 million, eight-year deal with the Stanley Cup champion Washington Capitals. His agent and the representatives for other pending unrestricted free agents were able to start talking to any interested teams on Sunday at the beginning of the negotiating window that precedes the opening of the market July 1. Paul Stastny is the next-best free agent center available followed by the likes of Tyler Bozak, Derek Ryan and Tomas Plekanec. Teams that don’t land one of them could turn to Buffalo’s Ryan O’Reilly, who may be a better candidate to be traded July 2 after the Sabres pay him a $7.5 million bonus. Unlike New York, which had been in win-now mode for a while, the expansion Golden Knights were supposed to be building slowly toward becoming a perennial playoff contender. After reaching the Cup final in their first season, Vegas GM George McPhee doesn’t want to overpromise and under-deliver.